Most importantly, however, supporting HacDC as a member enables one to help build an innovative community technology space and to contribute to the growing international movement of hackerspaces. Subscribe for dues ($60/month) via PayPal or bring a check. Attend a monthly member meeting on the second Tuesday of the month at approximately 7:15PM, so your membership can be formalized. * Although events are free, sometimes materials costs for workshops are the responsibility of workshop participants. Further, because of space limitations, some events are capped at a maximum number of participants. Events are published on our calendar. Student membership requires verification of student status to the Board of Directors. Starving Hacker memberships and temporary financial hardship dues waivers are approved on a case-by-case basis by the Board of Directors. 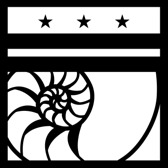 In general ninety percent of HacDC members are regular members.